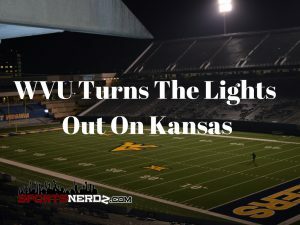 The score of the WVU VS. Kansas game was far worse than it may have appeared. WVU would wind up winning 48-21, but WVU would seal the deal early by establishing a dominant run game. Having 2 rushers over 100 yards a piece is no small task in the Big 12. The Mountaineers did just that even with Rushel Shell sidelined with injury. Justin Crawford and Kennedy McKoy could do as they pleased, both having runs of at least 37 yards. McKoy finished with 18 rushes for 127 yards while Crawford finished with 13 carries for 129 yards and a touchdown. Skyler Howard played a mistake free game going 16/27 for 260 yards and 3 TD’s. Howard would also account for 2 more TD’s on the ground. WVU’s two speedy receivers Shelton Gibson, and Daikiel Shorts would get in on the action too. Shorts caught 7 balls for 104 yards and a TD. Gibson would add 4 catches for 102 yards and 2 TD’s. On the defensive side of the ball WVU standout Senior Rasul Douglas would have 2 picks on the night while adding 3 tackles with one being for a loss. Senior Safety Jarrod Harper lead all tacklers with 7 solo tackles on the night. WVU’s defense would swarm to the ball all night long and played a huge role in the victory. Game Notes: WVU started off a little slow. The first couple of drives stalled and would result in a field goal and a punt. 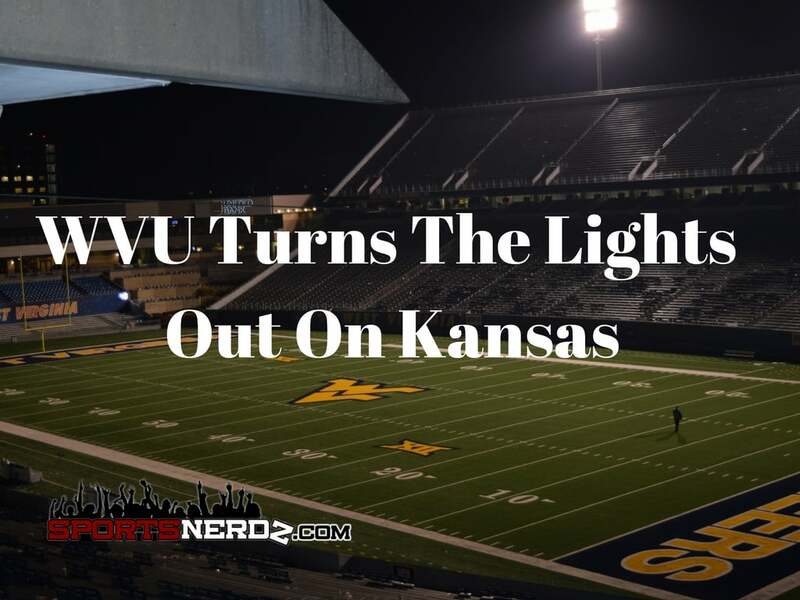 A main focus for WVU was to establish the run game early, all the while shutting down theirs. Dana Holgorsen after the game told us “It wasn’t the cleanest game, but we’re happy to be 7-1.” Also saying, “We don’t take any win for granted.” Holgorsen would also joke “Is it midnight yet? Geez.” Also speaking to us was Tyler Orlosky. Tyler Orlosky said when asked about the slow start, “We just decided to start getting physical and going after them in the third series” All in all it was an easy win for WVU. Kansas lacked the ability to score. I believe that Kansas Head Coach David Beaty had zero faith in his offense to put up points competitively. Kansas was out gained, out manned, and out coached in this victory. WVU will travel to take on Texas on November 12th at high noon in a crucial road game for both teams. This Texas team is no 1-7 Kansas team. 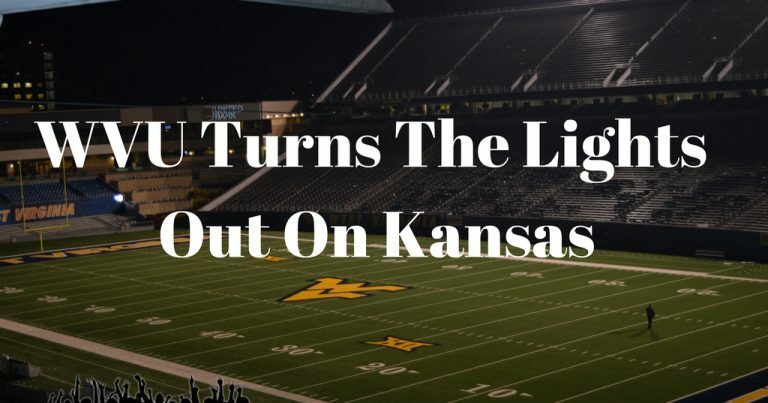 WVU must put the foot on the gas early and often.